A wax doll dressed by Queen Victoria’s eldest daughter, the Empress Frederick of Germany (christened Princess Victoria, the Princess Royal), sold at Bonhams, Knightsbridge for £4,080, as part of the Fine Dolls and Teddy Bears sale. The Victorian doll was a rare and early English poured wax shoulder-head doll, circa 1868, featuring fixed blue glass eyes, finely painted brown eye lashes, brows and short hair with wisps to front, painted mouth and slightly rouged cheeks, on a cloth body with well moulded wax lower arms and legs. The antique doll wore a beautiful long white cotton and lace dress with pink satin underskirt, layers of underclothing and ribboned bonnet. 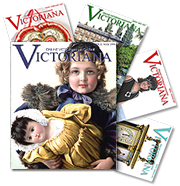 The Empress dressed the Victorian doll for a bazaar in London to raise funds for impoverished Germans in the city circa 1868, and it was bought by the financier Baron von Schroder. Going back in time, one of the first wooden dolls ever made (circa 1680), was also offered in the auction. The doll was dressed in the habit of the Carmelite convent at Bethune, which speaks of the religious turmoil of the time. The few known 17th century dolls dressed in habits are thought to have belonged to the children of Catholic families, who were sent abroad to be educated. They would send their doll back to England dressed according to the order they had joined, and to signify that they were safe. This lot sold for £12,000. 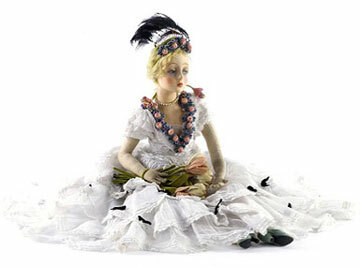 A 1920s Lenci doll, entitled ‘June Bride’ and based on the film star Marlene Dietrich, was another important lot. Lenci is believed to have modelled several of his ‘boudoir’ dolls on Dietrich, who was herself a collector of Lenci. This doll sold for £4,560. Further highlights included a fine example of a Bru Bebe with a moulded bisque head circa 1875 (sold for £6,600). Also sold was a papier-mache German doll with painted blue eyes and body with kid torso and carved wooden lower arms and feet with painted red slippers. The Victorian doll was wearing an all-original cream gauze dress, cape, underclothes and a large bonnet. 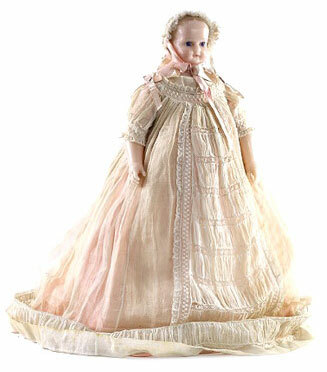 The antique doll came with a note stating that the doll was bought at Birmingham Fair ‘by SL Bartham for her sister AE Bartham’ (sold for £3,240). Also featured was a fine Sleeping Beauty musical automaton, dated circa 1880, which winds up to feature a ‘breathing’ Beauty, and a Prince playing a lute. Plus a remarkable Noah’s Ark (sold for £9,600) built in Germany in the 1870s, which came with a complete set of animals, from lions to grasshoppers. Bonhams: Bonhams, founded in 1793, is one of the world’s oldest and largest auctioneers of fine art and antiques. The present company was formed by the merger in November 2001 of Bonhams & Brooks and Phillips Son and Neale UK. In August 2002, the company acquired Butterfields, the principal firm of auctioneers on the West Coast of America. Today, Bonhams offers more sales than any of its rivals, through two major salerooms in London: New Bond Street, and Knightsbridge, and a further five throughout the UK. Sales are also held in San Francisco, Los Angeles, Carmel, New York and Boston in the USA; Toronto, Canada; and France, Monaco, Hong Kong and Dubai. Bonhams has a worldwide network of offices and regional representatives in 25 countries offering sales advice and valuation services in 57 specialist areas. By the end of 2009, Bonhams had become UK market leaders in ten key specialist collecting areas.For a full listing of upcoming sales, plus details of Bonhams specialist departments, go to www.bonhams.com.